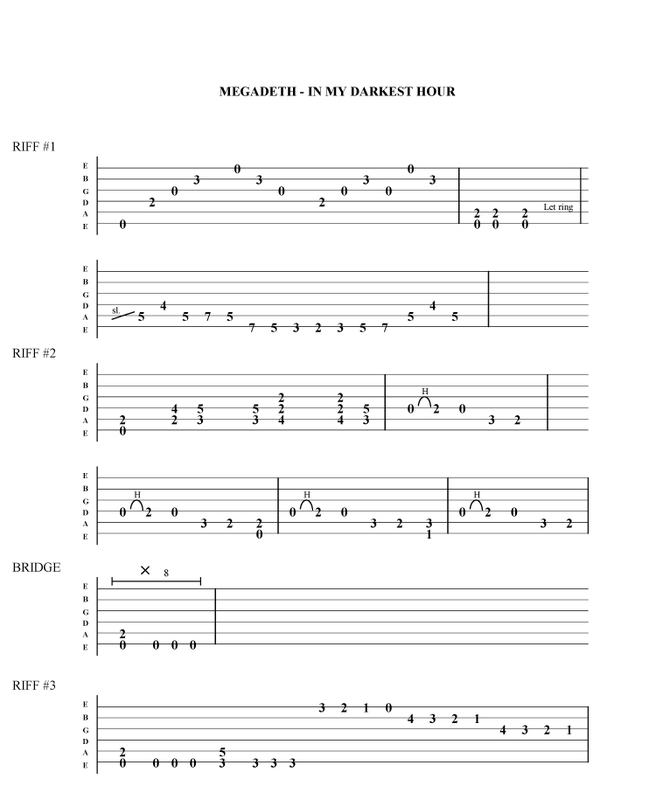 Free Megadeth - In my darkest hour guitar tab . Taken from the ' So far , so good , so what ' album . Click here for the lesson video .